A fine selection of some of the best Frankfurt Motorshow car commercials. Being a fan of hot hatches, I have been looking forward to that little one for quite some time now. The R is back with some pretty impressive figures. Starting with the engine obviously. 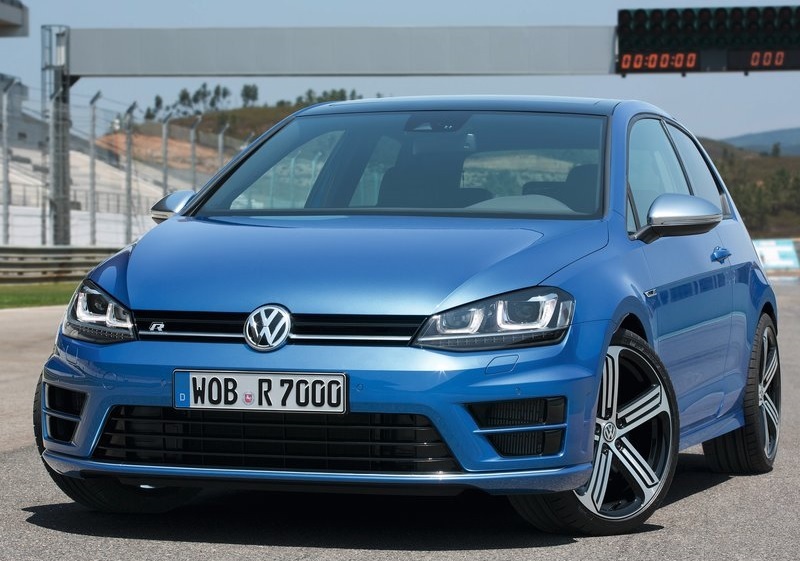 The all-wheel drive Golf now has 296hp, compared to the 267hp of the Golf 6 R. The 2.0-litre turbocharged four-cylinder engine sends all of its 300 ponies to the all-wheel drive system (With a clever XDS+ electronic diff lock on both axles) through a six-speed DSG allowing it to burn the 0-100km/h in just 4.9sec. That is M135i performance! Even though, the R is still far behind the performance of the A45 AMG and its 360hp. (Check the full review of the A45AMG by clicking here). Other than that, for the first time since the Mk5 Golf, the ESC has a Race setting, which allows you to turn the stability control completely off. There’s a new ‘progressive steering’, which is more responsive and an optional Dynamic Chassis Control to switch between Comfort, Normal and Sport modes. 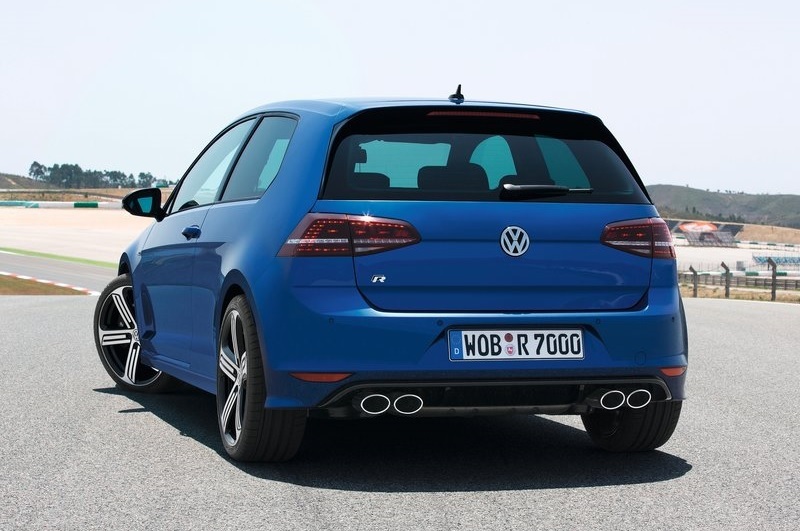 The new R is 5 mm lower than the new MK7 GTI and sits on 18 inch alloy wheels which look pretty beast in the EVO Frankfurt review here attached (You are welcome EVO). The pair of centrally mounted exhausts has been dumbed for a twin-oval chrome-tipped versions at each side of the car remind us of Audi’s S models. Hope that change won’t affect the exhaust note negatively. The Tail lights are smoked, like on every R model. All in all, even though looking at the first snapshots, I didn’t really like the new MK7 design, seeing the car in live made me change my mind. It is a great update over the MK6. The rear tail lights look really good specially at night. The interior is neat, clear and tidy as usual. With the price of the MK7 GTI at around 50,000$ in Lebanon, the R is expected to be launched with a starting price at around 65,000$ which is quite expensive for a hatch. But when you consider that an A250 with its front wheel drive, 210hp engine costs approximately the same price, the R suddenly becomes a bargain! Just wish I could put my hands on one of these ASAP and be the “lucky one” like in the new commercial attached below. A few days ago BMW revealed its new breed, the 4 series, followed of course with its M version, the M4, which is said to be the replacement of the M3 coupe. BMW has still not revealed any official data regarding the power output of their new born but rumours say that the legendary 4.0 liters V8 will be replaced with a more efficient Twin Turbo charged 3.0-liters inline-six delivering up to 455hp. 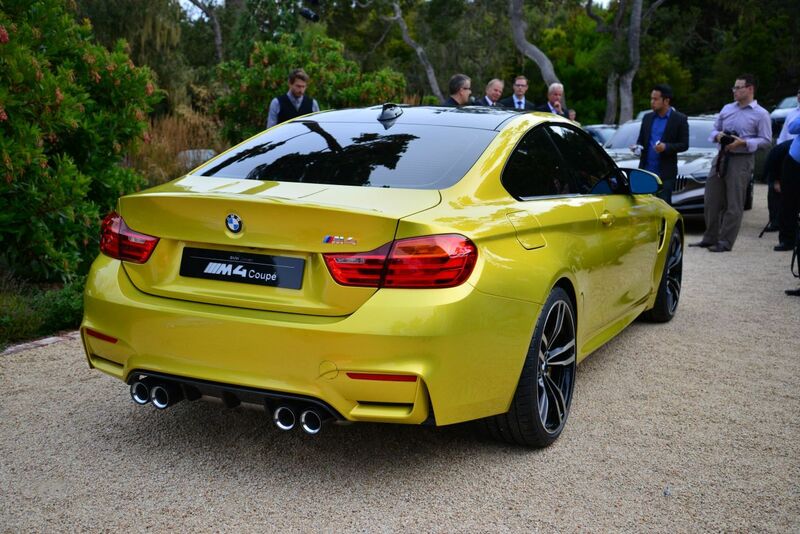 Some say that the M4 might incorporate an engine equipped with 3 turbos. The body of the car is recovered with a mix of plastic and carbonfiber, forming a rigid and light shell. Apparently the F82 M4 will be sold with a dual-clutch transmission (DCT) as standard equipment. No manual option will be available. Since no official data has been given by BMW, I am going to give you guys my own predictions. You are free to share yours in the comment space here below 🙂 Regarding the engine, I would say that the M4 will be equipped with an inline 6 with 3 turbos. Most of the times, when a car manufacturer moves from a naturally aspirated to a turbocharged engine, he is most likely to collect negative and bad feedback from the fans. Going for 3 small turbos, with one for each two cylinder, will make the driving sensation closer to a naturally aspirated engine. Regarding the transmission, to compete in this very techy and competitive car market we are in, a DCT is a must, manual can’t be an option anymore eventhough it sure will be missed. The DCT not only provides quicker acceleration but will also improve fuel economy. 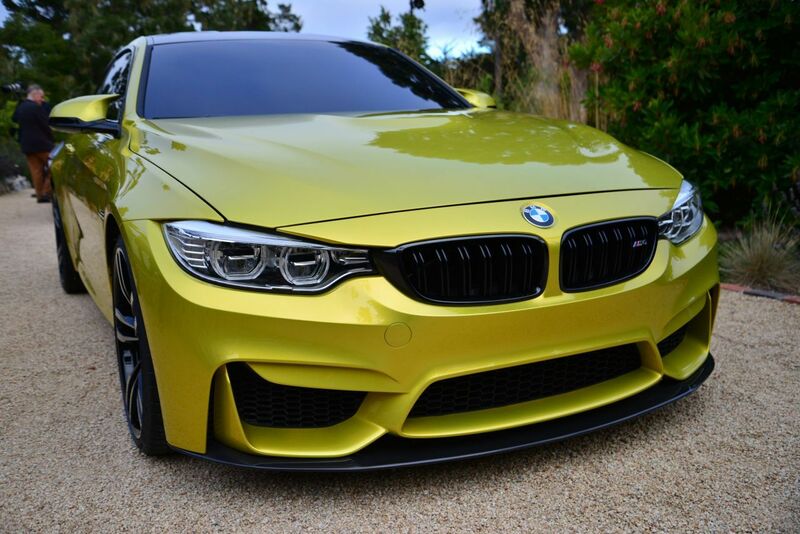 I personally find that the M3 with all the history it carries, should have stayed the M3 in its coupe version and the M4 should have been the 4 doors version of it (since it is called M4). For a new Series, I would have expecting a more unusual design. Even though, I liked the exterior, the front gives it an angry attitude while the back is ready to through out some flames. 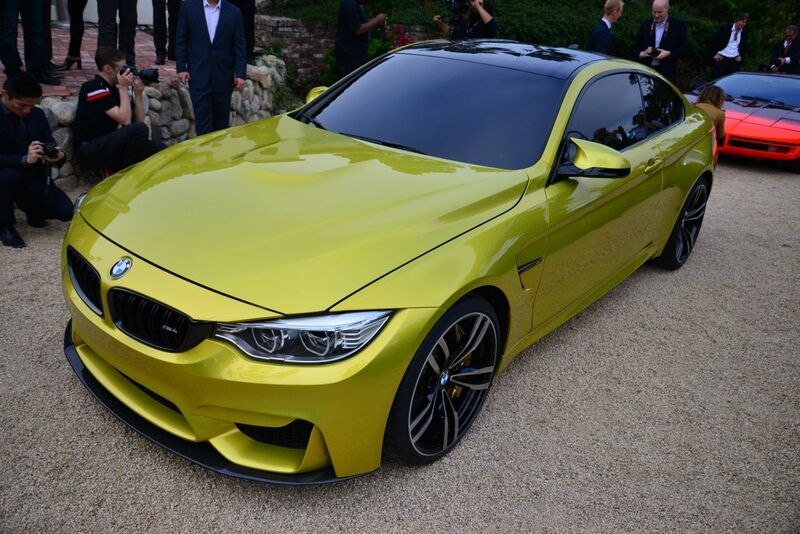 BMW tried to give the M4 a fresh new look with this “Aurum Dust” colour, not really sure people liked it. Faster, lighter, sexier, the perfect ingredients to create a “scuderia” version of the 458 Italia, so called, the 458 Speciale. So what’s the fuzz all about you shall ask. To start with, the naturally aspirated 4.5 liters V8 has been given some steroids contributing to a total gain of 30 ponies. This adds up to a total of 592hp and 398 lb-ft of torque making it the most powerful naturally aspirated V8 Ferrari has ever built. The weight of the 458 has been reduced by 90kg. The attention to detail in the design of the interior is just staggering. Last but not least, its look. The front grille has been enhanced, the bonnet is more structured to improve aerodynamics, the rear has been equipped with a bigger diffuser and two integrated tailpipes replacing the 458’s trademark central triple pipes. The aero elements are active and help make this Ferrari’s most aerodynamic road car yet. Ferrari claims some of the 458 Speciale’s technology will make it onto its future road cars, with SSC and that active aero seeming dead certs. I love every single bit of this new creation by Ferrari. It will be officially announced at the Frankfurt motor show in September. Hope I’ll be able to make it!! [updated] The official video has just been released! Just look at those active aerodynamic components!